Also known as the Blue Wren or the Superb Blue-wren, the Superb Fairywren is a bird that is common around the south-eastern part of Australia. 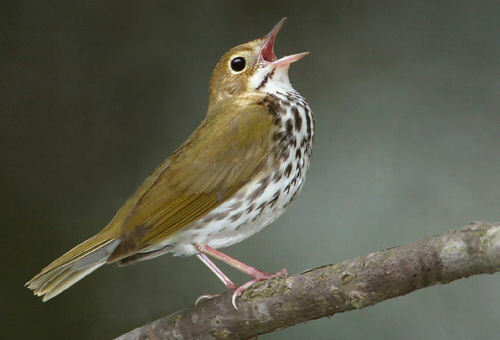 This bird is territorial and sedentary, and exhibits a high degree of sexual dimorphism. There are 2 sub-species of Superb Fairywrens – one from Tasmania, and the other from the Australian mainland. The Superb Fairywren can be found in almost any area in south-eastern Australia. It can live in any place that has a little dense undergrowth which is their shelter. This includes grasslands with scattered shrubs, moderately thick forests, woodlands, heaths, and even home gardens. It has adapted well to the urban environment, so it is common to see this bird in the suburbs of Canberra, Sydney, and Melbourne. It eats insects and seeds. M. c. cyaneus – first described in 1782, it is found throughout Tasmania and the Bass Strait Islands. 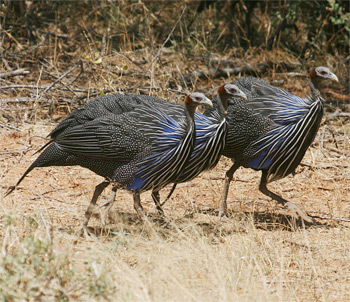 These birds are larger than its mainland cousins, and males have a deeper azure blue colouring. The birds from Kind Island were actually first described a as a separate species as it has a deeper blue colour. Birds from Flinders Island are actually a colour in between those from Tasmania and King Island. M. C. cyanochlamys – first described by Richard Sharpe in 1881, it is found on the mainland. These birds are both paler and smaller than the Superb Fairywrens from Tasmania. Male Superb Fairywrens from Queensland have a pale blue-silver crown, mantle, and ear tufts. 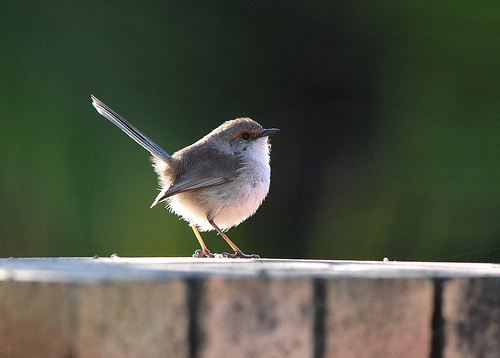 The Superb Fairywren is 14 cm long and weight between 8 to 13 g. Males are slightly larger than females. The average length of a tail is 5.9 cm, which makes it one of the shortest in its genus. It has a long beak which is long, pointed, and narrow – however it is wider at the base. It is wider as they feed on insects. 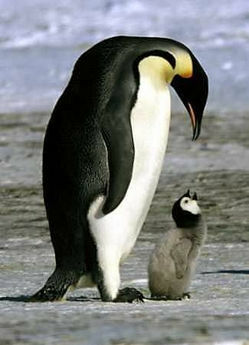 In terms of sexual dimorphism, males have a breeding plumage. It is a brilliant iridescent blue that also has black and grey-brown colours on it. Their crowns are brightly coloured, and their ear tufts are featured during breeding displays. 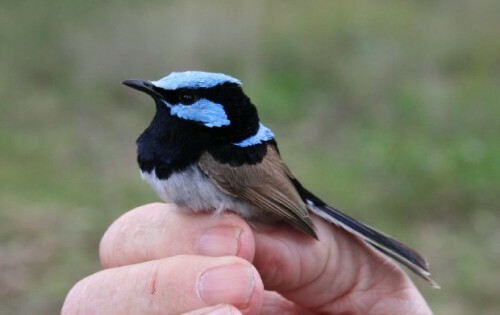 A male who wishes to breed has a bright blue forehead, ear coverts, tail and mantle, a black throat, black eye band, breat, and bill, as well as brown wings. On the other hand, non-breeding males, immature birds, and females are a plain fawn colour. Superb Fairwrens are fairly vocal communicators. They will use vocal communication when they are in a social group, for mobbing, advertising, or when they are defending their territory. Males will have a particular type of vocalisation which is given when predatory birds such as Grey Butcherbirds are around. It is not a warning call, but just gives away the location of the male to its predator. Thus, the reading for this particular call is unknown.